Of Disney’s four main theme parks in Florida, EPCOT is universally considered the least kid-friendly. This is especially true of the World Showcase. It gets a bit of a bum rap for being a showcase of ideas and cultures and not having many rides. It’s a park meant to inspire and inform, but it also has a lot to offer the kids, if you know where to look. 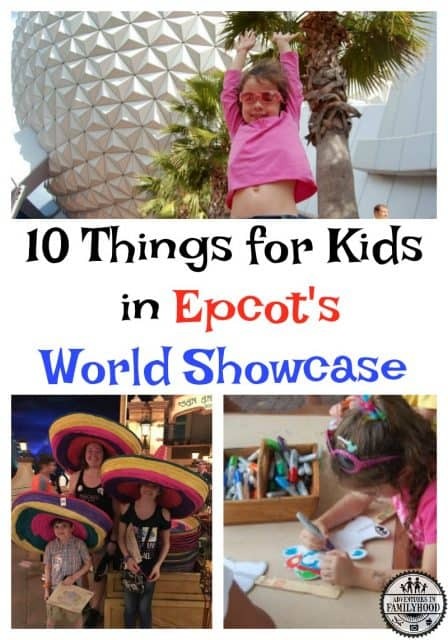 Come along as we give you our Top 10 things for kids in EPCOT’s World Showcase! There are plenty of characters to see around the World Showcase. Most of the countries have character greetings, so if your children are autograph hounds, one trip around the lagoon can help fill up those autograph books. 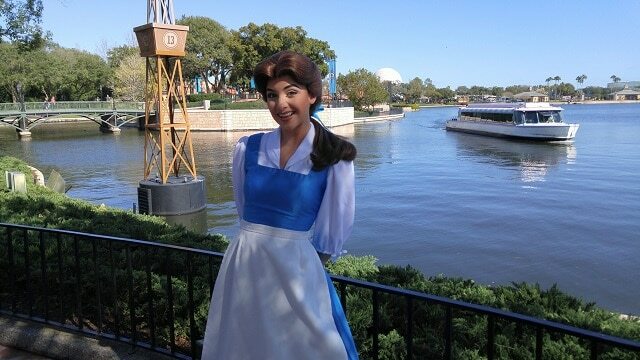 Another unique character experience is offered in Norway, where you can dine with Disney Princesses in Akershus restaurant! One time, we even stumbled across a whole throng of characters meeting guests between Canada and the United Kingdom Pavilions! These are not typical, but they do happen! 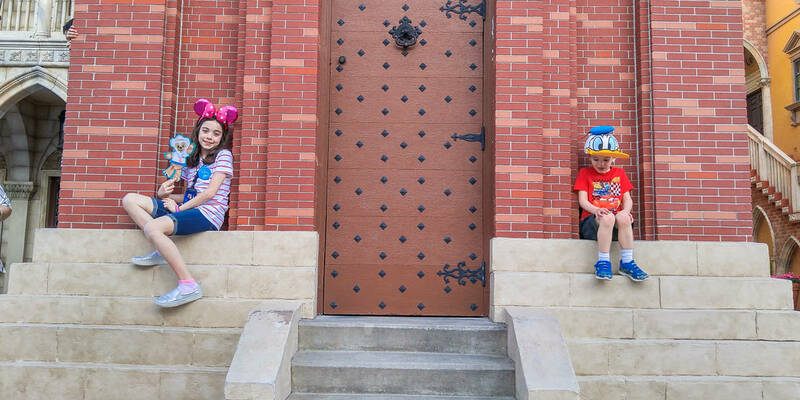 They’re sometimes as difficult to locate as a hidden Mickey, but each pavilion has a location specifically for the younger members of your family to pull up a seat, talk with a Cast Member, and collect an activity card, which they can color! 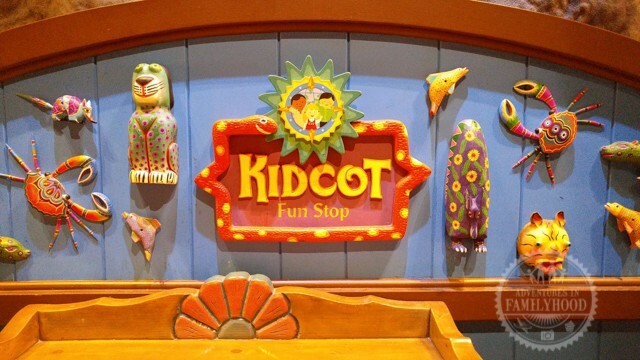 Learn more about Kidcot Fun Stops and where to find them! 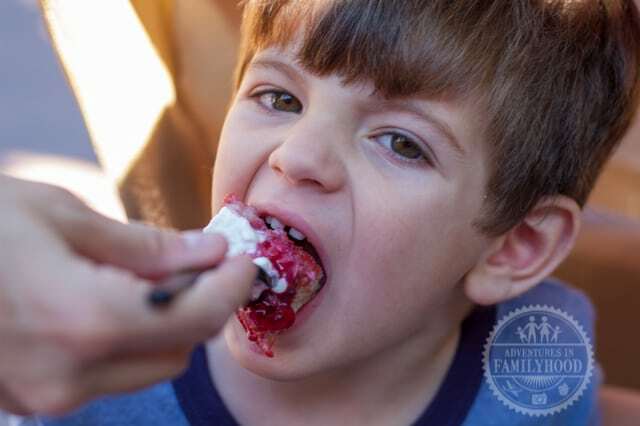 Adults have drinking around the world, so kids need something of their own. We love to try on the different hats in the shops in each country. They make for great picture opportunities, especially if your child is a ham in front of the camera. If you’re kids aren’t into hats, you could search out other items, such as each country’s flag. Collecting pressed pennies or pin trading around the world is fun. Or your child could pick out a word or phrase and ask Cast Members from each country how to say that word or phrase in their native language. There are currently two rides in World Showcase, and another is being added. 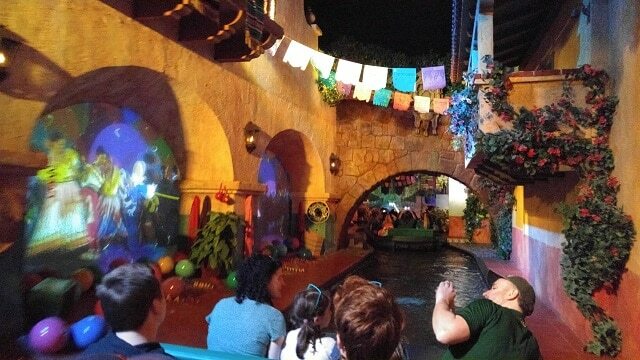 In Mexico, kids will love the Grand Fiesta Tour, which is very similar to “it’s a small world”. 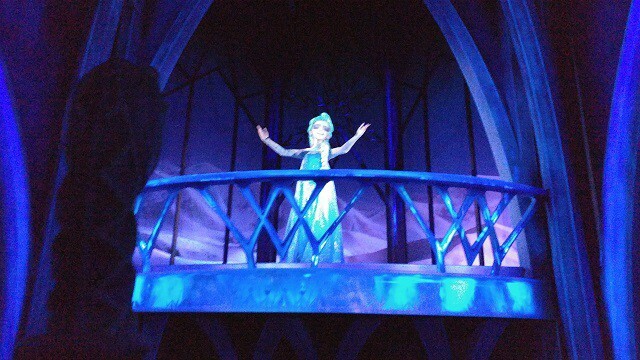 Frozen fans will want to ride Frozen Ever After in Norway. Coming soon, France will be home to the Ratatouille attraction for the whole family. We can’t wait for that! 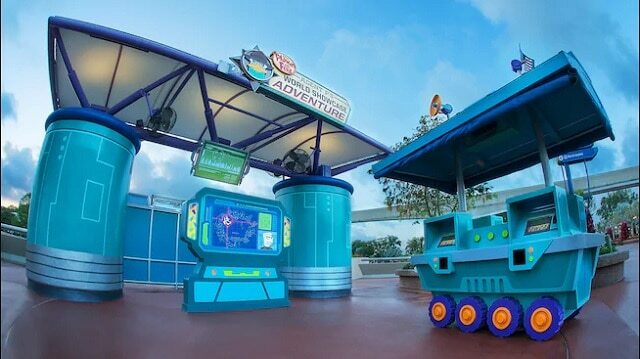 Join Perry the Platypus from “Phineas and Ferb” on an interactive secret mission around World Showcase to thwart the plans of the evil Dr. Doofenshmirtz. 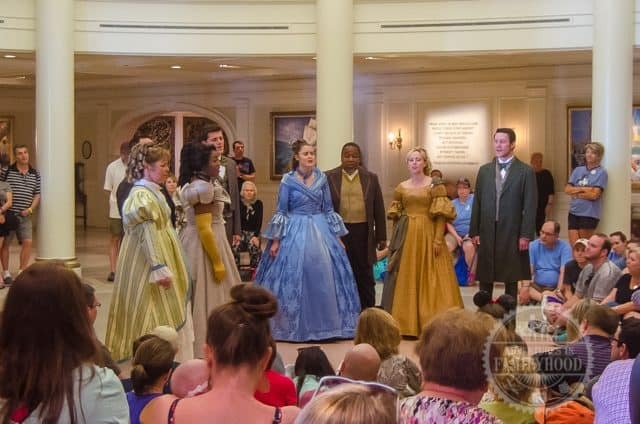 Fun for the whole family, even if you may not be familiar with the popular Disney TV show. You play using your phone and can choose from any or all of 6 missions located around World Showcase. Each mission lasts about 30 to 45 minutes and ends with a unique “thank you” that you’ll get a kick out of. 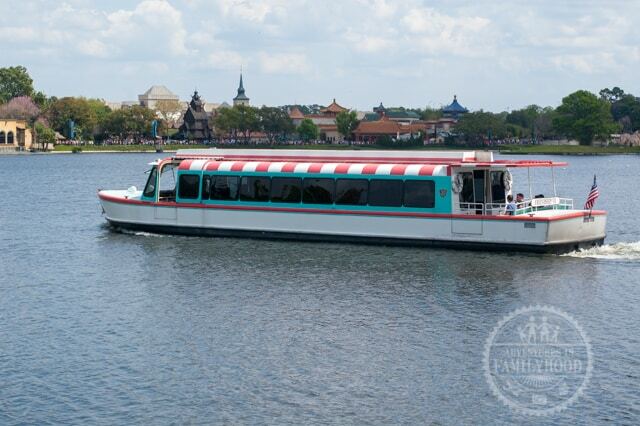 Get from one side of World Showcase to the other by boarding one of two Friendship boats that traverse the lagoon. It’s a wonderful way to see the pavilions all around you. Feeling more adventurous? Take a stroll out of the International Gateway to board a boat to the Epcot resort area. Feeling really adventurous? Ride one of two boat rides located indoors! The Maelstrom (Norway) is a dark and potentially frightening ride with small dips, while the Grand Fiesta Tour (Mexico) offers a more relaxing journey. Throughout the day, there are various performances put on all throughout the World Showcase. Your whole family can enjoy live music, juggling, acrobats, drummers, and even living statues. Check out the current schedule of Epcot entertainment. Remember, there’s no rules against dancing, singing along, or having fun!! 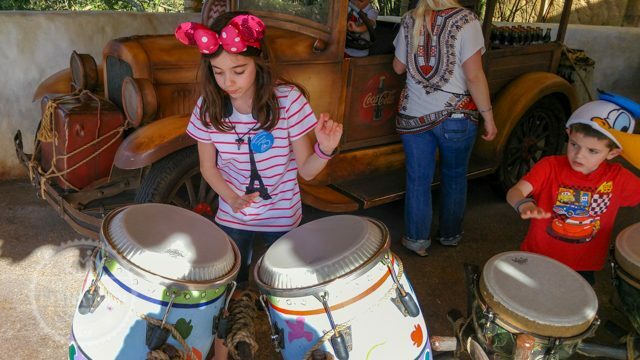 The African Outpost is not considered a pavilion, but it has a refreshment stand, some items for sale, and this great drum setup. Located between Germany and China, it provides a shady spot for the kids to bang away, while you enjoy a refreshing beverage. Sounds like music to our ears! For more music fun, check the shops in each country for various music instruments unique to each one. Each pavilion is an opportunity to get your kids to try something new. After all, experiencing the sights, sounds, and tastes of the host countries is what the World Showcase is all about. Festival booths and many snacks make it easy to try something small. If you missed our piece last week on Disney’s TRYit! initiative, check it out here! Of course, we can’t leave EPCOT’s spectacular fireworks display off our list, since it occurs right in the middle of the World Showcase lagoon. There are great viewing locations all around World Showcase that put you so close that you can feel the heat from the pyrotechnics. If your kids are small or a bit afraid of loud noises, you can retreat to a safer distance by heading toward Future World and picking out a spot on the walkway. 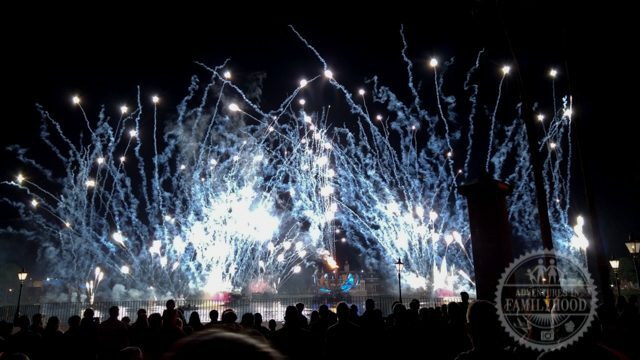 You can still enjoy the fireworks portion of the show from a distance, and in case you want to make a quick exit, you’re that much closer to the front of the park! What are your favorite World Showcase kids’ activities? This is a great list. I'll have to remember to forward this to everyone who says Epcot's not really for kids! Thanks so much! We spend more time with our two little ones in WS than in Future World! Nice tips….. going to share on my FB page. 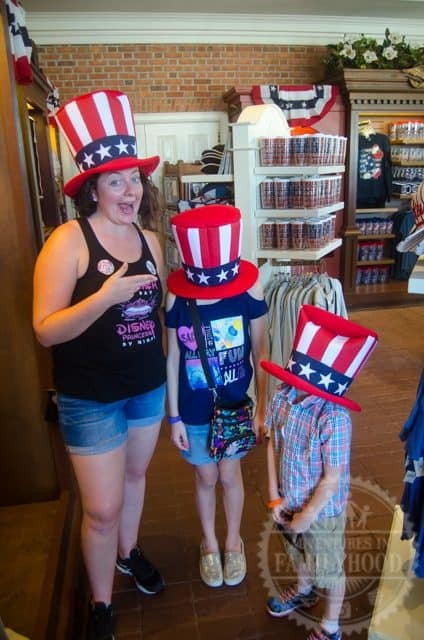 We discovered agent P our last trip….who says Epcot is just for grown-ups! THANK YOU SO MUCH for sharing! We've yet to try Agent P although James is dying to try it. Great ideas! We also must hit the Maelstrom in Norway every visit. I'm hoping that our daughter will be brave enough to try it this year! 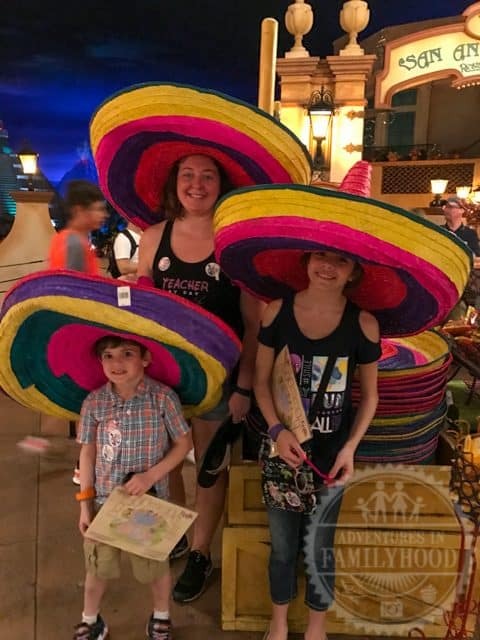 "Or your child could pick out a word or phrase and ask Cast Members from each country how to say that word or phrase in their native language." I remember doing the KidCot fun stops when I was a kid with my cousins.